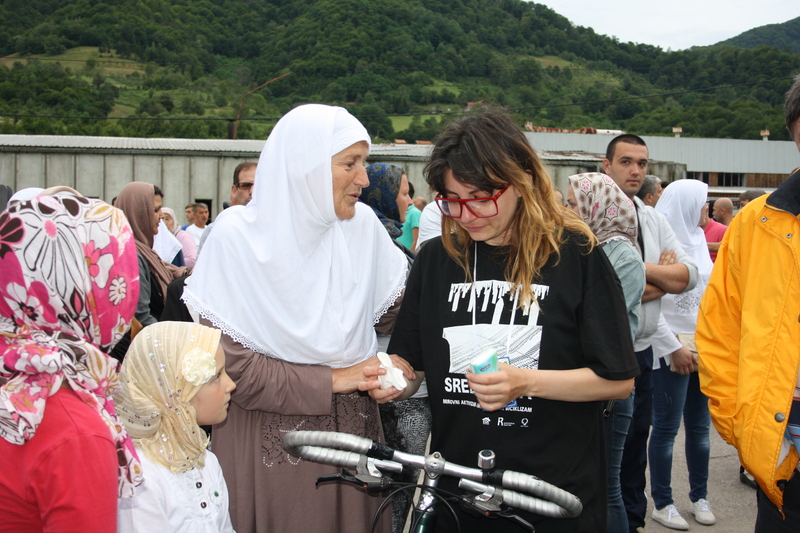 Last week, a team of nine cyclists from Serbia rode the 173 km from Belgrade to Srebrenica, to attend Friday’s memorial. 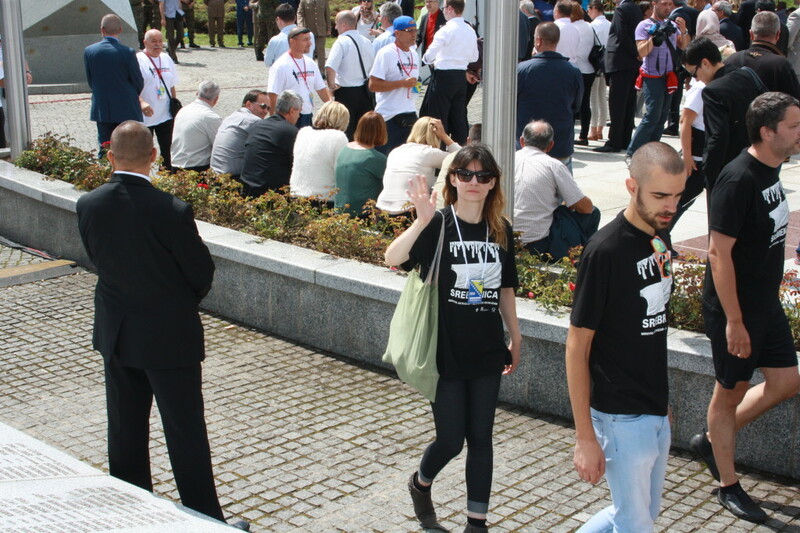 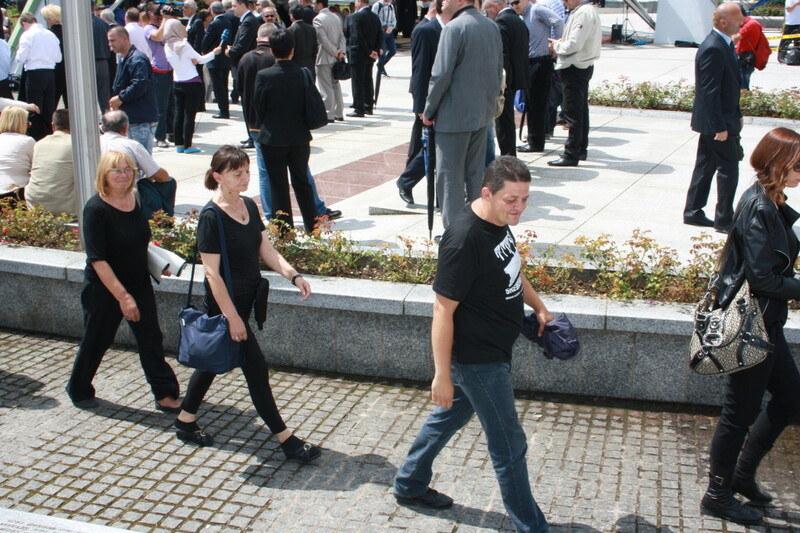 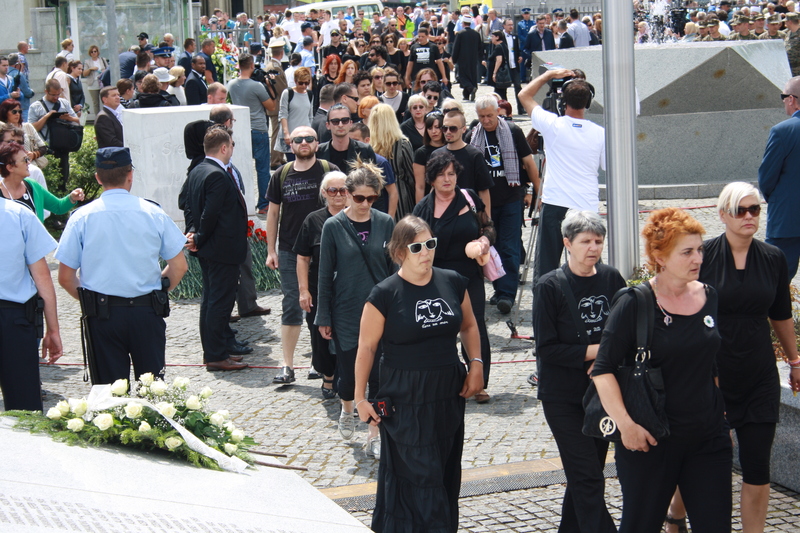 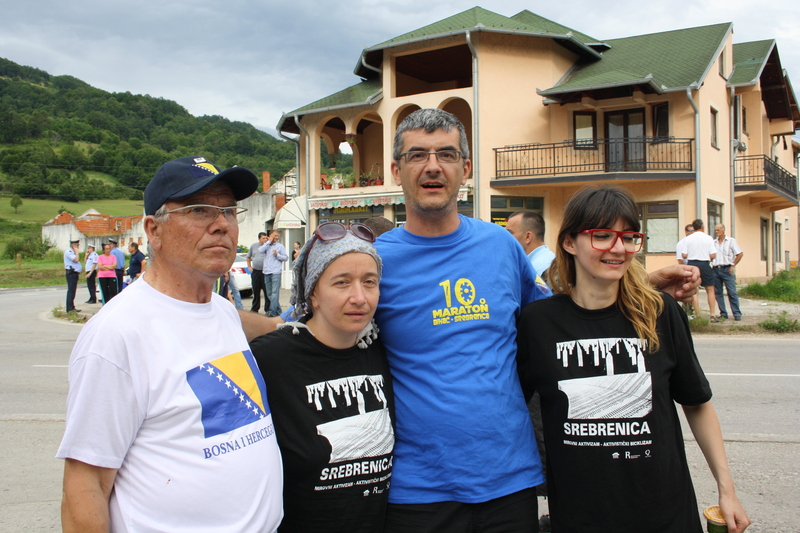 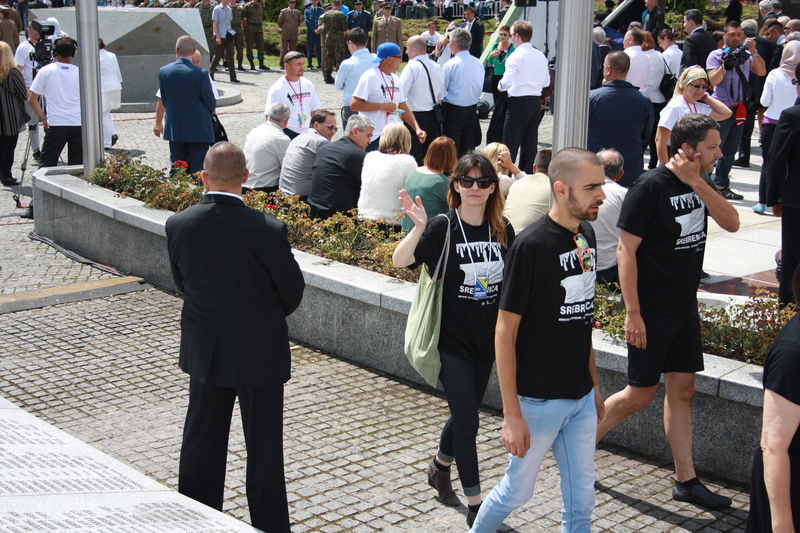 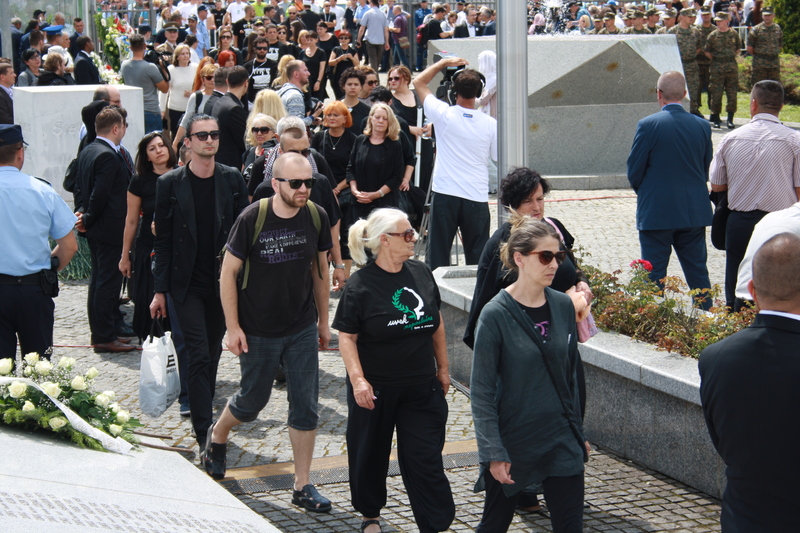 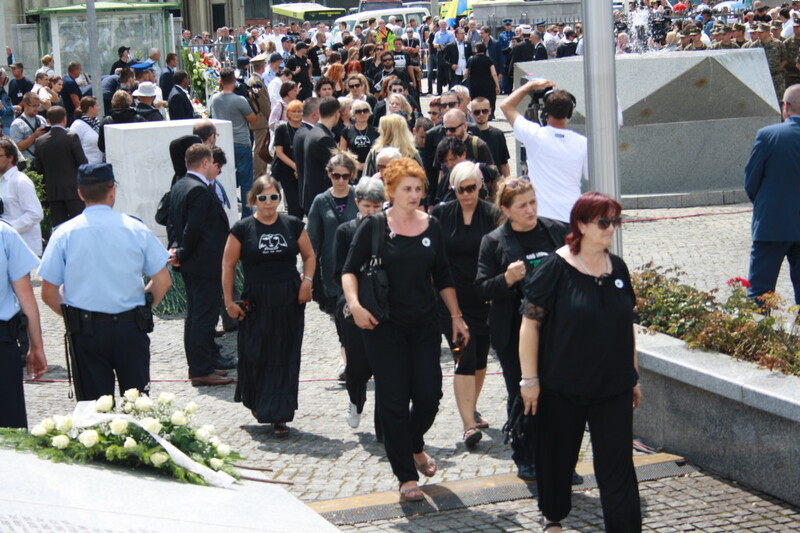 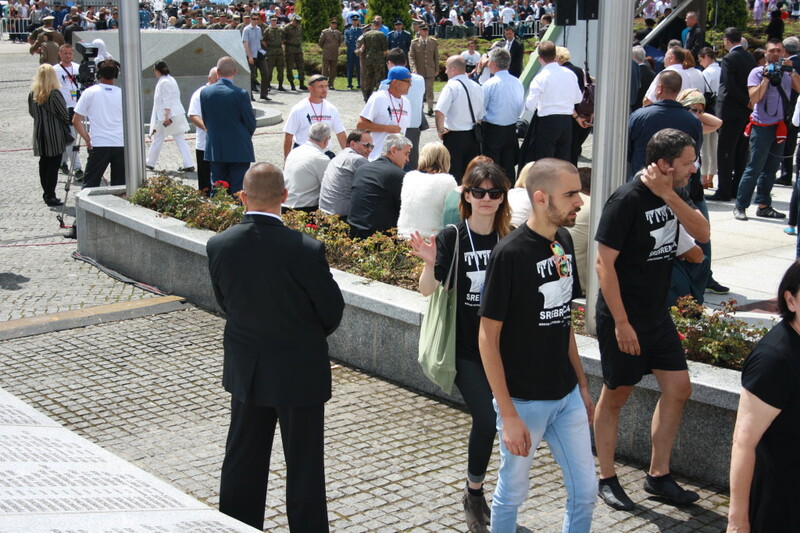 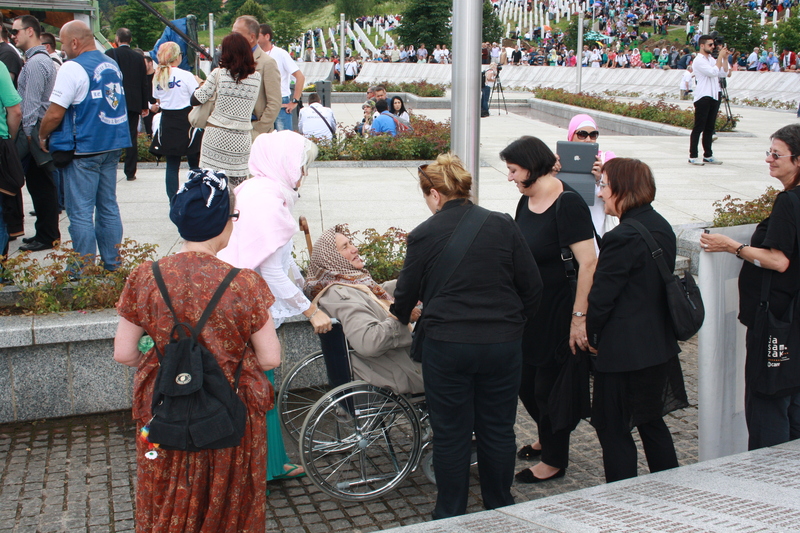 They wore black t-shirts printed with the words “Beograd – Srebrenica 2014”. 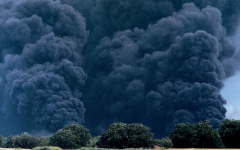 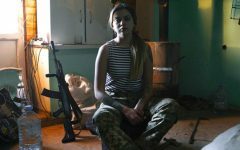 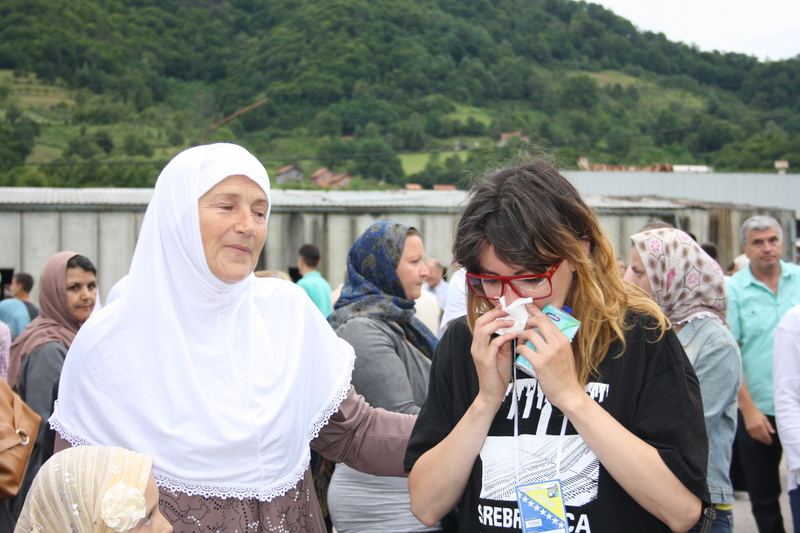 The most powerful images are of Sanja Nikolic, one of the cyclists from Serbia, comforted by a woman who lost 25 members of her family at Srebrenica. 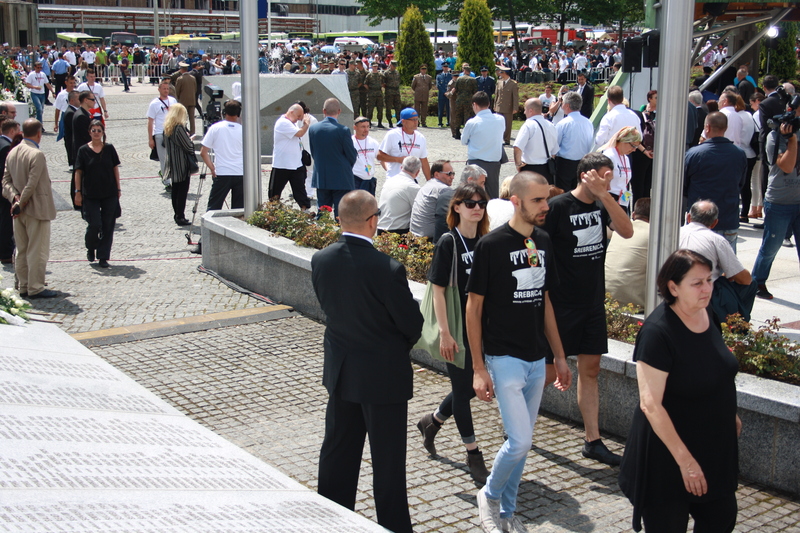 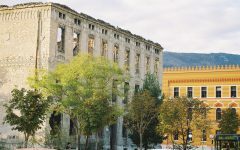 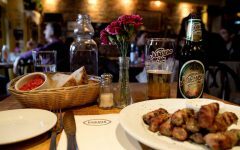 All photos by Haris Hadzic.